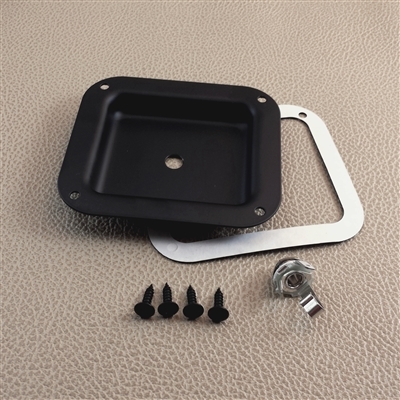 Black powdercoated steel jack dish measures 4" x 4-3/8" and requires a cutout of 2-7/8" x 3-1/4". 4 #8 x5/8" black trusshead screws for mounting. These kits now also include a self-adhesive gasket, which can also be used as a template for cutting your mounting hole. The entire kit is just $6.29! Kit can be upgraded to Switchcraft J11 jack for just $0.86 more.